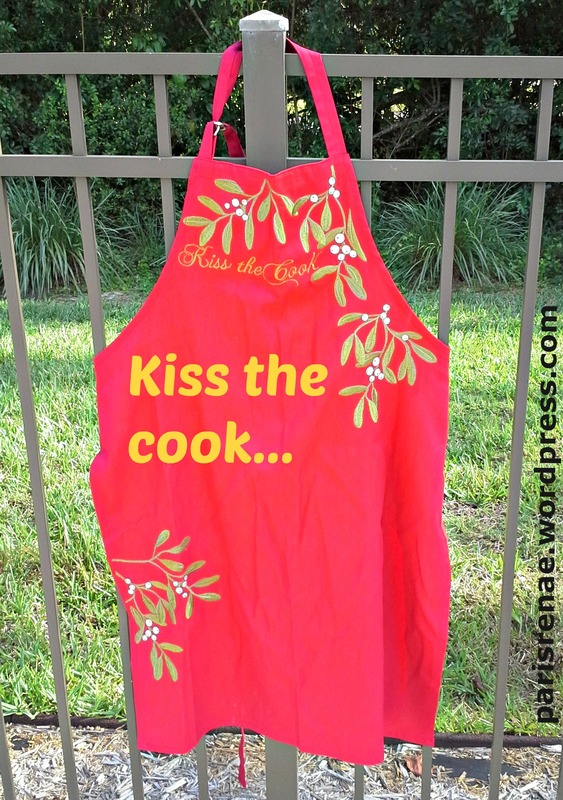 My grandmother, better known as Nanny, always had an apron on – but she always had a dress on too. While there are lots of things about the ‘old days’ worth missing, I for one am glad that we don’t have to wear dresses all the time. Just a couple of years ago my friend related the story of how she was baking cookies with her granddaughter and she didn’t want her to get stuff all over her cute outfit so she tried to put an apron on her. She wouldn’t have anything to do with it, especially since her grammy wasn’t wearing one. When I asked her why she wasn’t wearing one, she told me she only had one – the one she was trying to put on her granddaughter. Thank you so much, and I bet you do look cute wearing them! 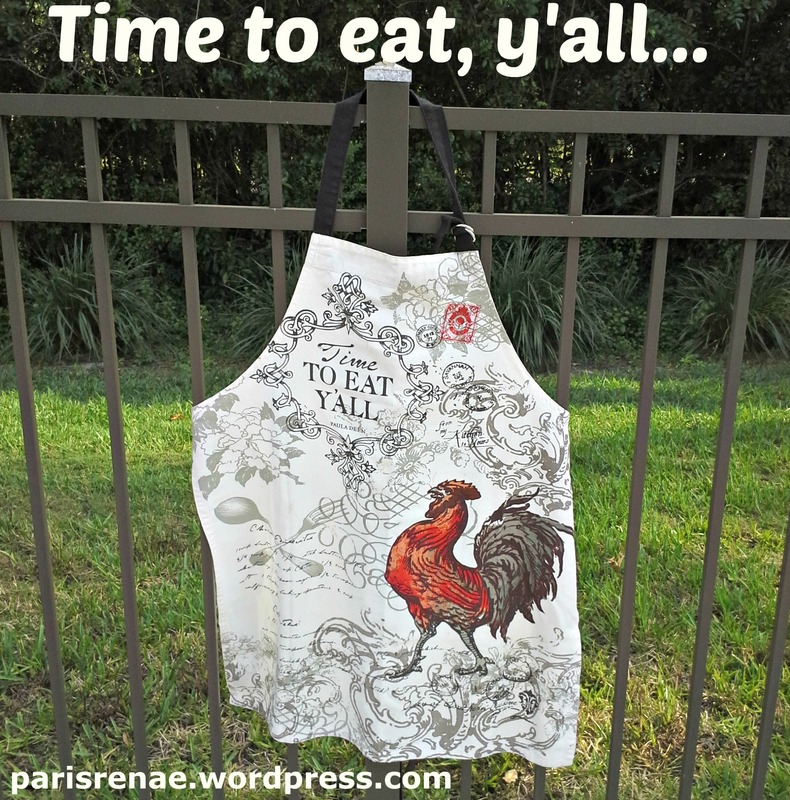 I must have at least 20 aprons that I continually wear in the kitchen. 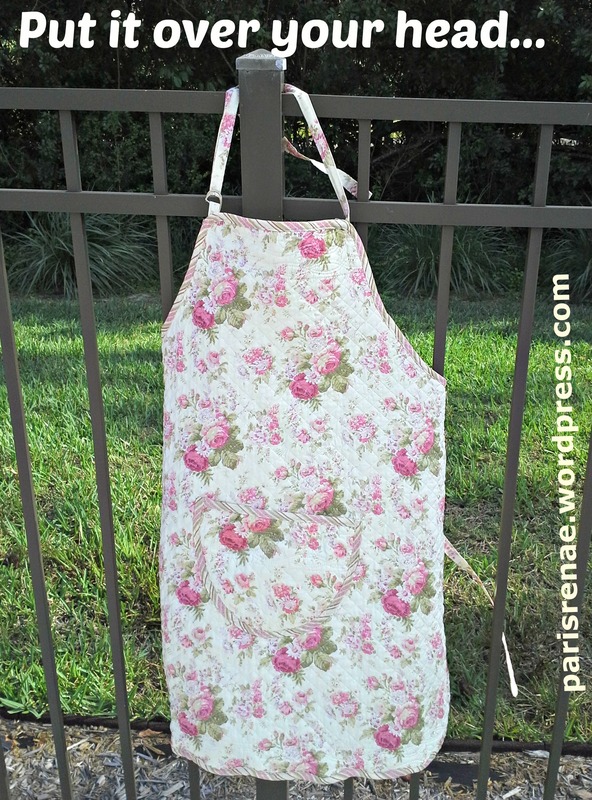 Love aprons! Wow, 20, that’s a ‘collection’ 🙂 Thanks for sharing, Linda, and enjoy every one of them! 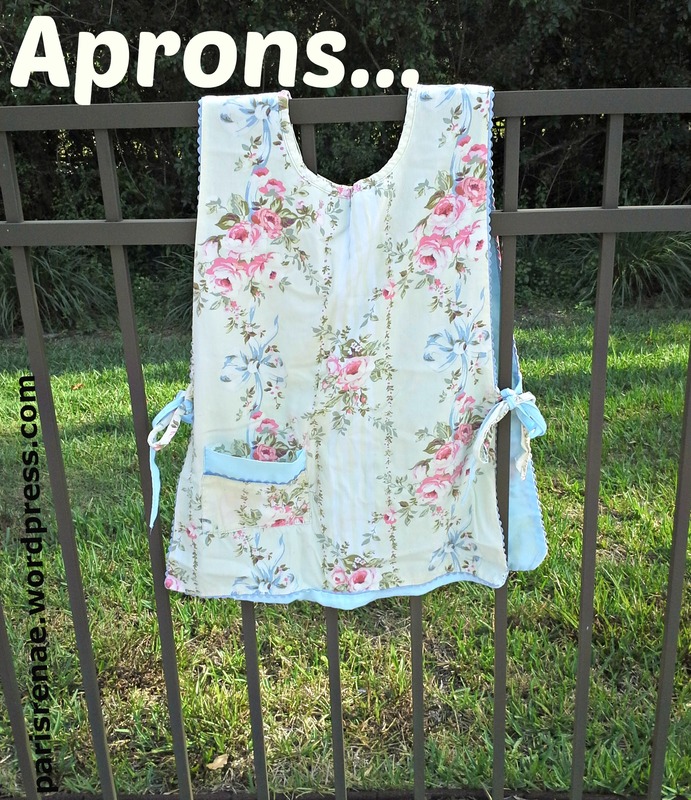 I love having my special aprons from my dear friend and sharing them with my granddaughter. I’m making one her size but my guess is that she will still want to wear mine!! Those are special – you should hang them up in your kitchen or something 🙂 Special ones like that you can pass to your girls! 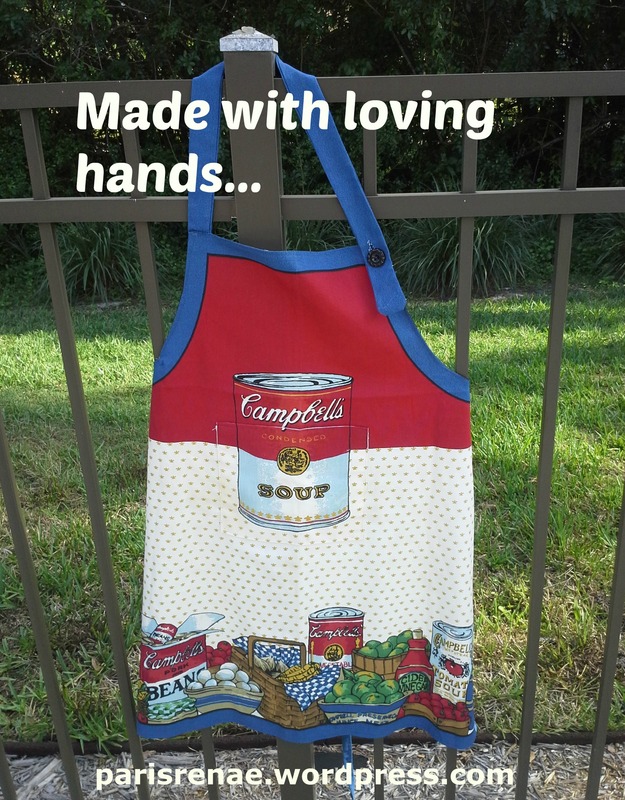 I have several kitchen aprons that I don’t wear because they came from special people, but I do have art aprons and they are a total mess. I paint more than I cook, or at least would like to.